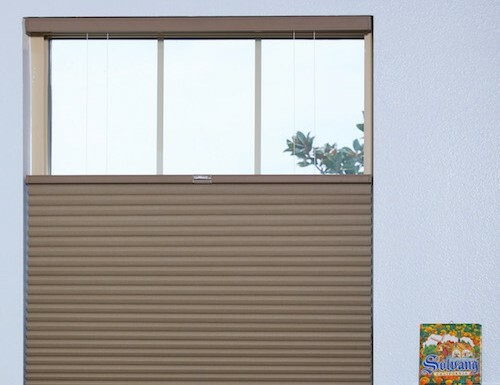 Express Cordless Top Down Bottom Up 9/16" Room Darkening Cell Shades come standard with high quality spun lace fabrics. 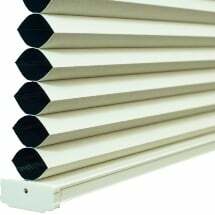 This shade also comes standard with a 1 1/2" PVC round headrail and durable PVC bottom rail. The rails are made to match the fabric color you choose. Top down bottom up is standard for this product. Raise and lower the shade from the top or bottom with ease. 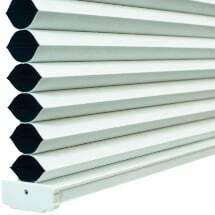 This shade is room darkening allowing you to nearly blackout the room. 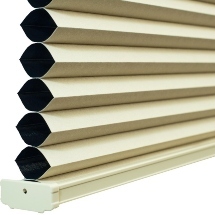 The Express Cordless Top Down Bottom Up 9/16" Room Darkening Cell Shades are child and pet safe. 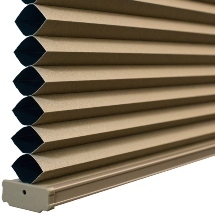 Order samples today and see the quality of the material used for this product. 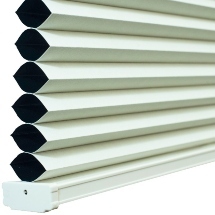 Note: The height on the Express Cordless Top Down Bottom Up 9/16" Room Darkening Cell Shades will not be adjusted. 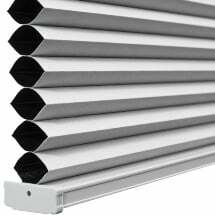 The shades will come in only 2 height sizes, 48" and 72", depending on the size of your window. I absolutely love my room darkening shades. I absolutely love my room darkening shades. They look so nice & really do what they say. Room is nice & dark. Very easy to install too.